This client wanted lots of flowers for cutting, and a lush landscape. We installed a drip irrigation system in the front and back yards. 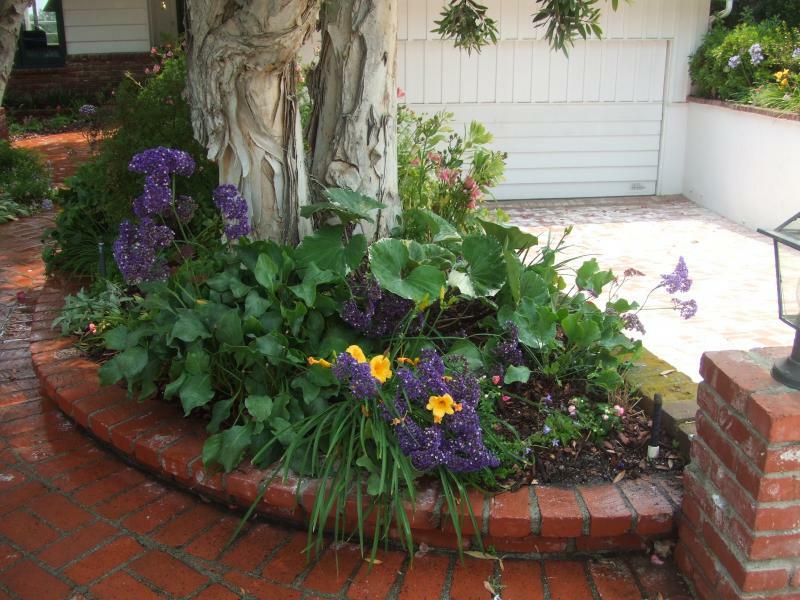 Bark mulch helps retain moisture and prevent weed growth. 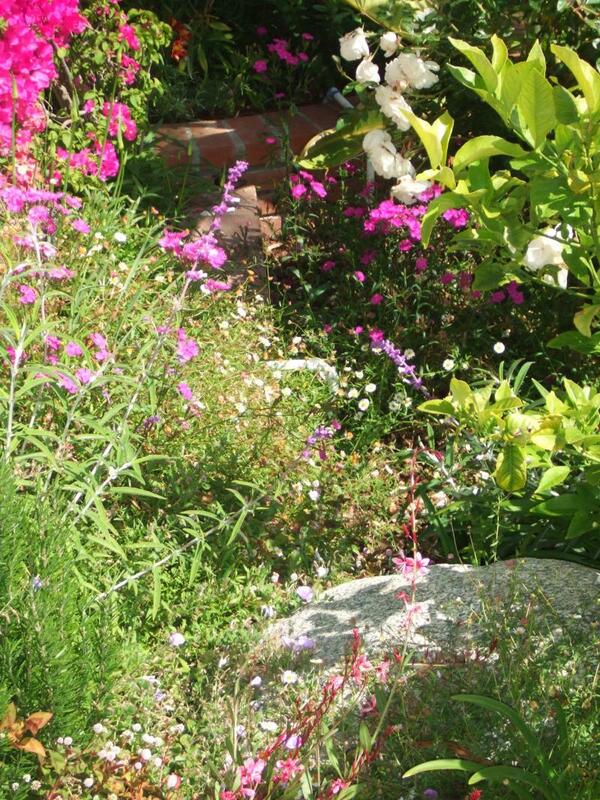 We added a lemon tree, roses, salvia, dianthus, alstroemeria and many other flowering perennials to the planting. 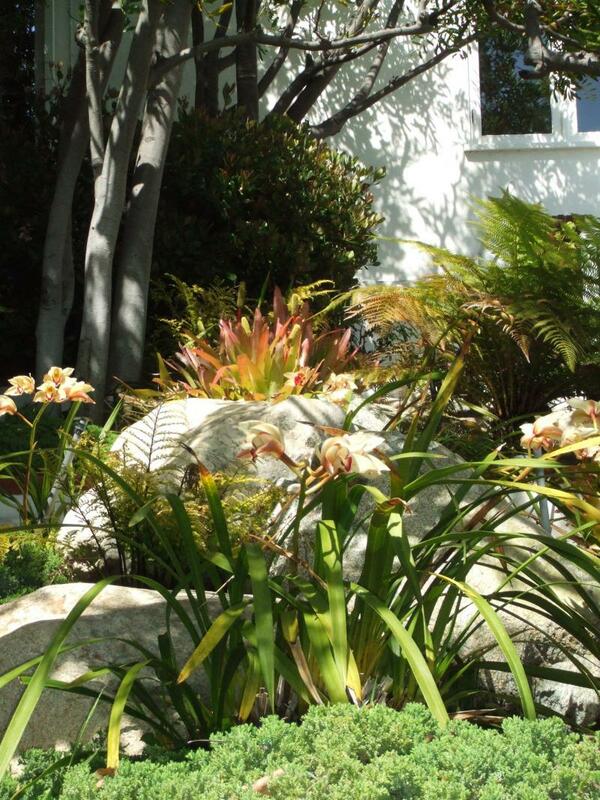 Cymbidiums and bromeliads brighten up the side hill under a grove of trees.